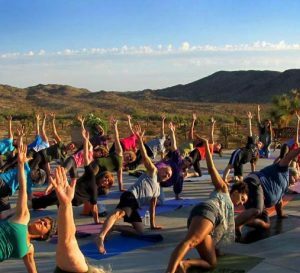 Retreat into Joy – a weekend of Meditation, Yoga, Music and FUN! 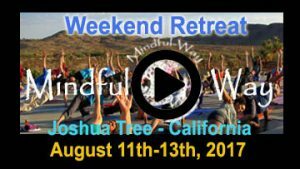 Blog Retreat into Joy – a weekend of Meditation, Yoga, Music and FUN! 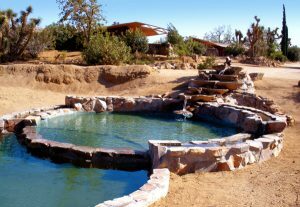 Hugh and I (Beth Mulligan), co-founders of Mindful-Way, are looking forward to leading our 12th annual summer retreat, August 11-13th at the Historic Joshua Tree Retreat Center. Learn more and register here. Families come, groups of friends come, people new to meditation come, and all learn to look compassionately and kindly within through their personal practice while finding they are not alone in this complex world as they join with a community of like minded people. If you find yourself needing a wider perspective, some hope and joy, please join us! We have single rooms, cottages for families and groups and shared accomdations available just for YOU!